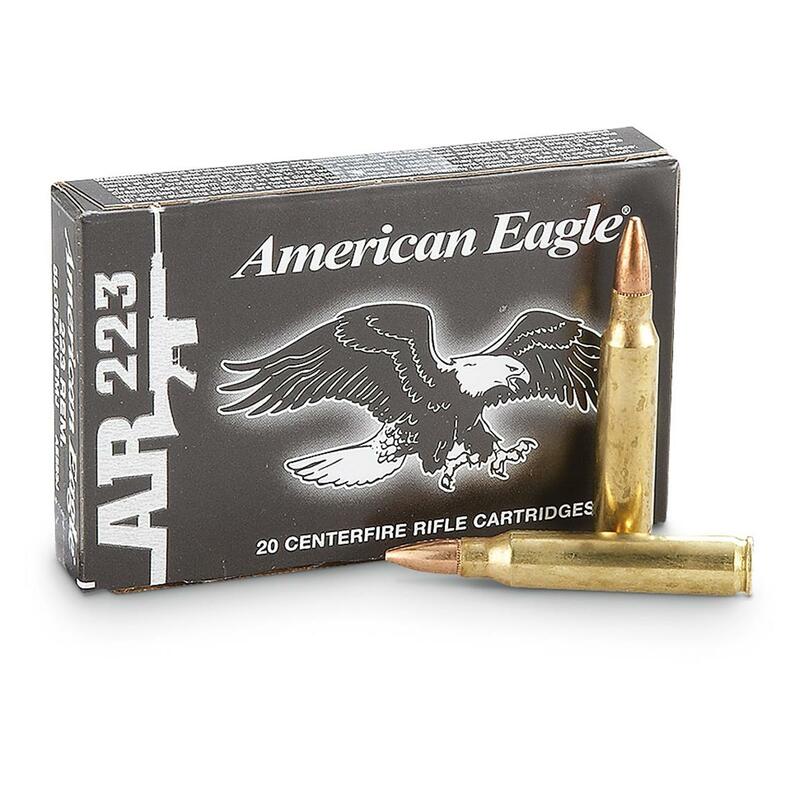 Federal® American Eagle .223 Rem®. 55 Grain FMJ Boattail Ammo. Premium specs, economical price from the ammo experts at Federal®. Brass case. Reloadable. Full metal jacket boat tail bullet. For target shooting or just plinking without breaking the bank. Practice makes perfect! Stock up on some top-quality .223 rounds now! 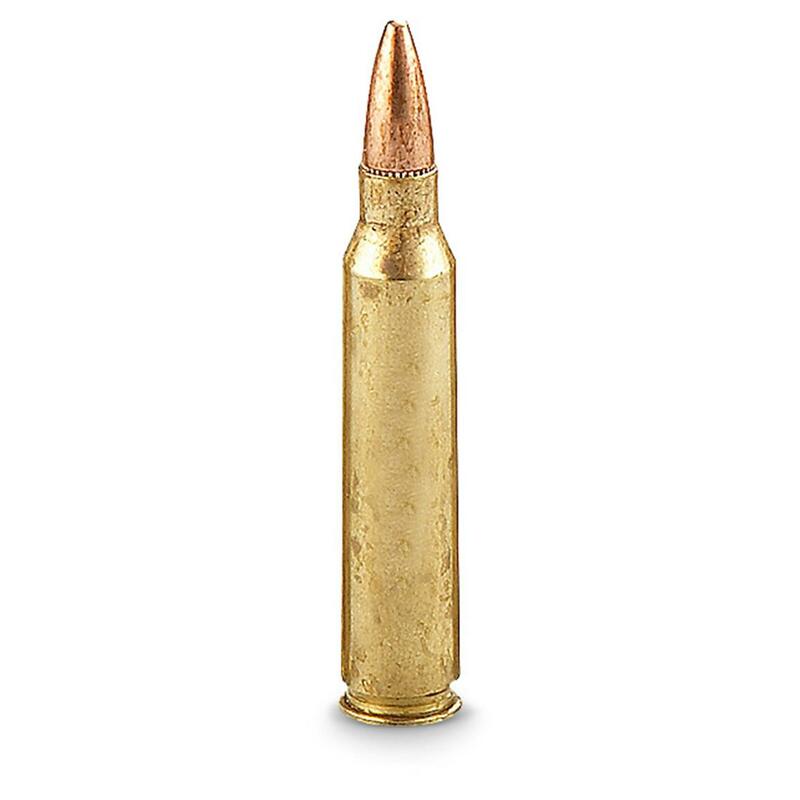 Federal, American Eagle, .223 Rem., FMJ, 55 Grain, 100 Rounds is rated 4.3 out of 5 by 3. Rated 5 out of 5 by Jim720 from Quality ammo I like the 20 round box. One box loads my 20 round mags with no fumbling try extra ammo. I have fired 20 rounds and incurred no problems . I recommend this brand . 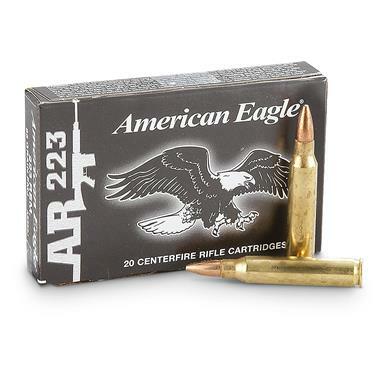 High-quality Ammo for your .223. Optimized for your favorite gun. Perfect for the line of duty.